I don't normally get into books about talking animals. 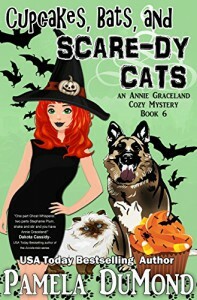 But Scare-dy Cats has just the right amount of mystery and cuteness that I can overlook my aversion to critters with the gift of speech. And some of those recipes sound delicious. I think this may be my favorite Cupcake book so far.